The original outline planning application had been submitted by our client’s planning consultant. 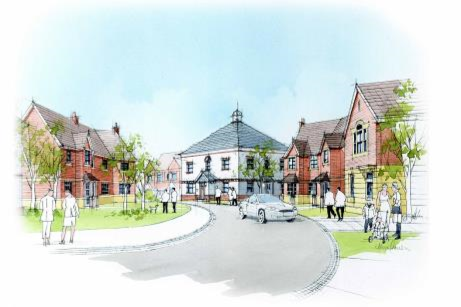 The site for this proposed new housing development is a plateau at the south east of the town. The eastern edge of the site is defined by a steep grassy slope which overlooks the business park down below. The western edge of the site is Vowley View which marks the present limit of the town’s housing. 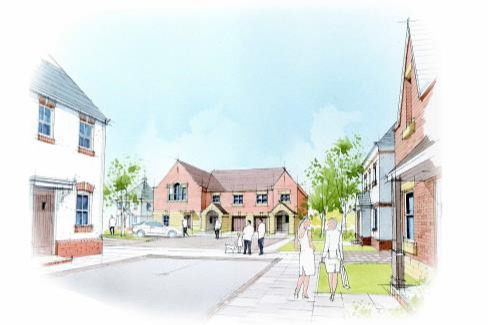 The scheme comprises 60 houses in a variety of sizes and 24 flats arranged along a meandering shared surface access road interrupted by 3 parking courts that also provide further traffic calming.